Are you creative? Love do-it-yourself (DIY) crafts? Want to stay occupied before classes begin in just a few short weeks? Look no further than this blog, where we list seven DIY projects that will get you ready for fall semester! JJC fall classes begin Monday, Aug. 20. Haven't had the chance to apply? There's still time! Visit jjc.edu/apply. First, pick up your textbooks from the JJC Bookstore. Then get your creative juices flowing so you can create your very own textbook covers! 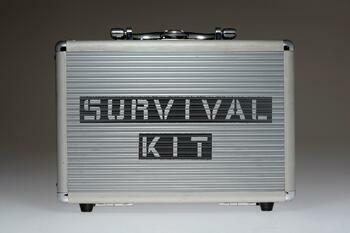 A survival kit is just what you'll need for school emergencies. Grab a tupperware container or sack and start packing! Then keep this in your backpack or the trunk of your car. Feeling ambitious? Check out this easy, no-sew tutorial on how to create a pouch you can use for your kit. There are plenty of DIY options out there for pencil pouches, depending on your skill level and how much time you want to spend. Check out a few tutorials below! Have you heard of bullet journaling? Bullet journals are notebooks with little bulleted dots on the pages instead of lines. They allow you to customize the journal in your own way. You can draw your own calendar, create a checklist, make habit trackers and more! Check out this blog for some bullet journal page ideas or visit bulletjournal.com to learn more. Not an artist? No problem! 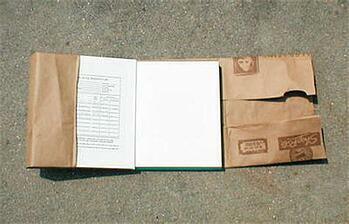 Use a binder instead of a journal and print customizable pages online. Check out these free printable bullet journal pages. Tired of lending out your pens and never getting them back? 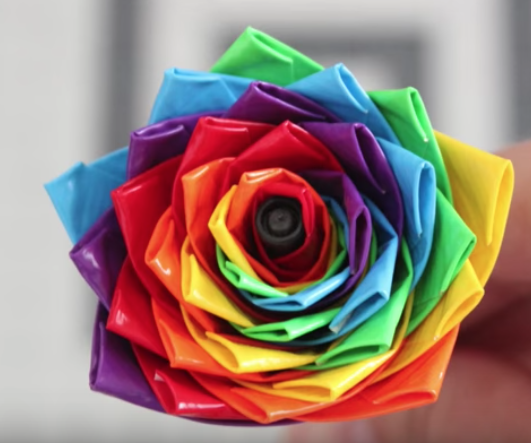 Create a duct tape flower pen and your borrower will be sure to remember to return it! This fun craft only takes a few minutes and the only thing you need is a pen, scissors, a ruler and duct tape. Decorate a backpack or canvas tote to use for fall semester! Check out these totes on Amazon, then choose paint or fabric markers to make your own design. Feeling ambitious? Check out this sewing tutorial to create your own tote bag from scratch. Did you know that you can mold your very own set of pencil erasers from eraser clay? Choose your own design or check out these step-by-step directions to learn how to make specific shapes with molds, cookie cutters and more. Not registered for fall classes yet? There's still time! Visit jjc.edu/apply to apply or register for classes using MyJJC.